At a time when some are starting to claim “VR is dead” once again, I think we need to take a bit of a step back. 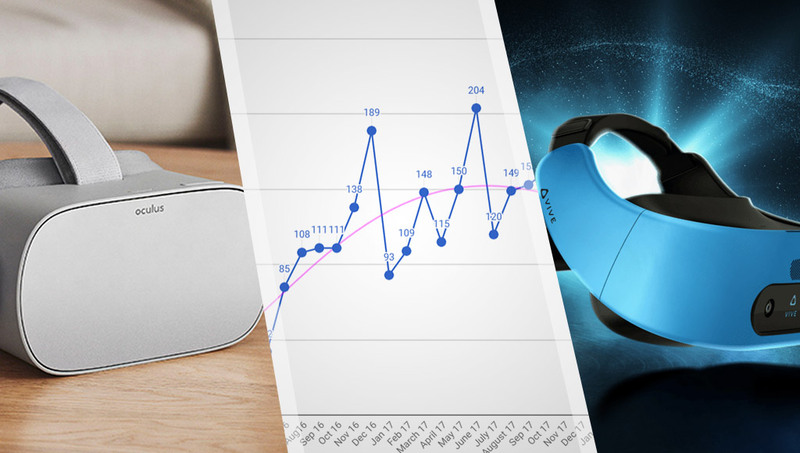 Things really aren’t looking that bad for VR right now and I find the future of VR to be pretty darn exciting. I asked others in the industry to help me explain why. Just late last year, Pimax, an 8K VR headset, smashed through its Kickstarter goal, raising $4,236,618 (much more than the $200,000 goal!). That doesn’t sound like consumers are done with VR at all. Stable is good. Stable is promising. Stable isn’t a dying industry. I’d add that game development takes time — especially in a relatively new industry with the rapid pace of change we’re seeing in VR. Developers out there are simultaneously learning and experimenting with a new medium (with entirely different rules, expectations and conventions) while also being expected to output high-quality content consistently and regularly. In my opinion, the fact that we’ve still got a relatively stable series of releases of VR apps in Steam is a pretty great sign considering that. 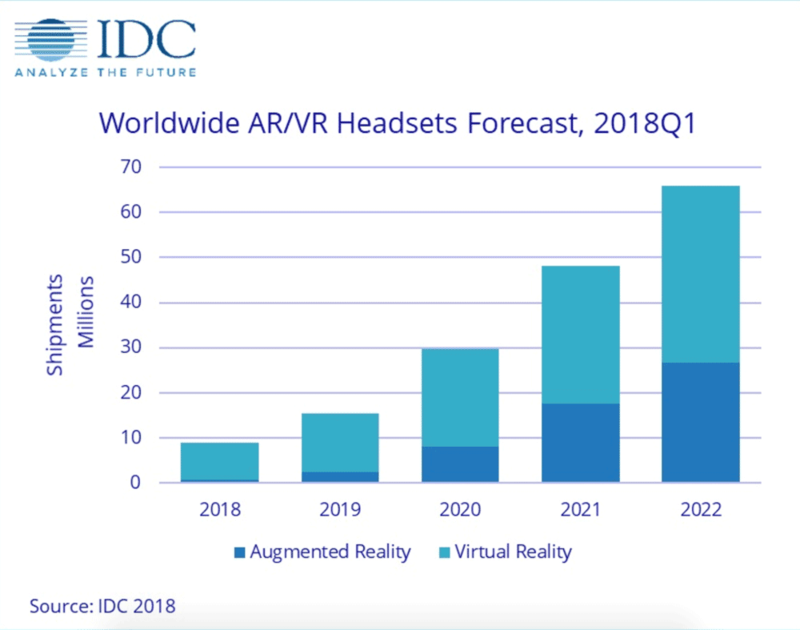 There are a whole heap of interesting stats and thoughts on the future of VR (and AR as well!) in their projections, it’s worth a read. We’re moving beyond solely 360° video — a common method of producing VR content in the early days — into more exciting territory with interaction and a range of content styles. I think 360° video wasn’t ever the best way of showing off VR’s potential, so it’s great to see companies like StartVR looking for ways to move beyond it. Our expectations have been crazy high for VR and AR (often due to overly-enthusiastic marketing departments hyping things a bit more than the tech can meet). Things have been wildly over-hyped to the point where some people really expect Ready Player One-level VR to be just around the corner. 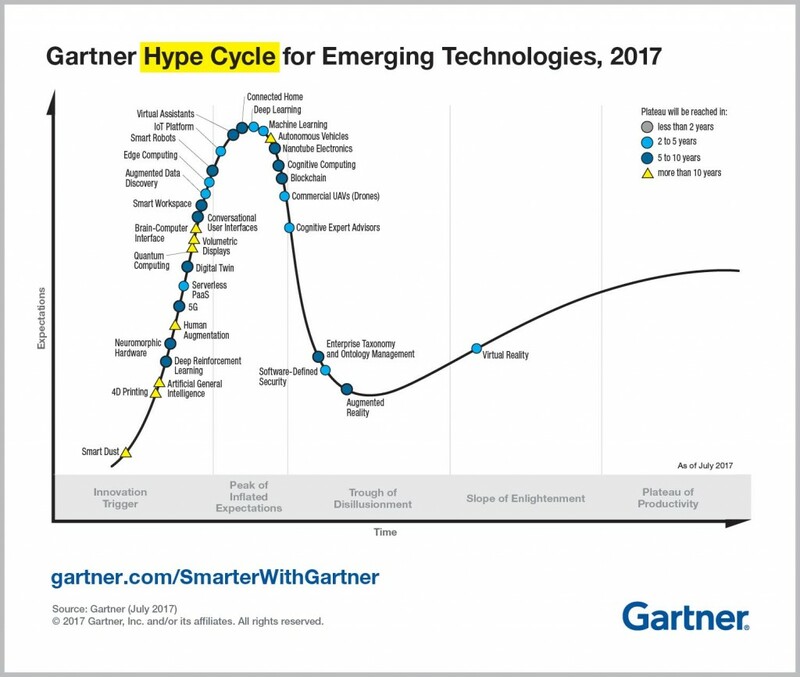 Gartner’s own prediction around emerging tech in 2017 places VR in the “slope of enlightenment” at the moment. This is where “more instances of how the technology can benefit the enterprise start to crystallize and become more widely understood. 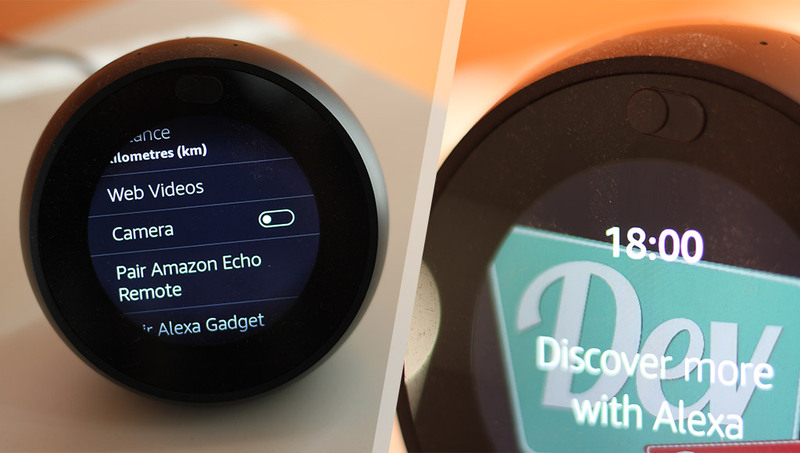 Second- and third-generation products appear from technology providers. More enterprises fund pilots; conservative companies remain cautious.” (Gartner). I think we might still be a little bit further back than that, closer to the “Trough of Disillusionment”, but virtual reality will get to the “Plateau of Productivity” eventually — this is when it’ll hit mainstream. Gartner predicts 2-5 years, I think it’s really hard to know for sure. I do think it will hit mainstream potential in some form or another in this decade. One thing that frustrates me after covering emerging tech for years is that the tech media, pundits and bloggers are often incredibly keen to announce the death of a technology (or company). The death of wearables and/or smartwatches has been announced more times than I can count (Fitbit just had their most successful wearable to date) and other areas in emerging tech have had the same headlines over and over again. We don’t need one bit of tech to die in order for another to succeed. VR doesn’t need to be replaced by AR. They can both survive and serve their own purposes! All of this tech can grow and rise together, finding ways to intertwine and push the others forward. Microsoft took what it learnt from their HoloLens and made VR headsets using the same tracking tech. 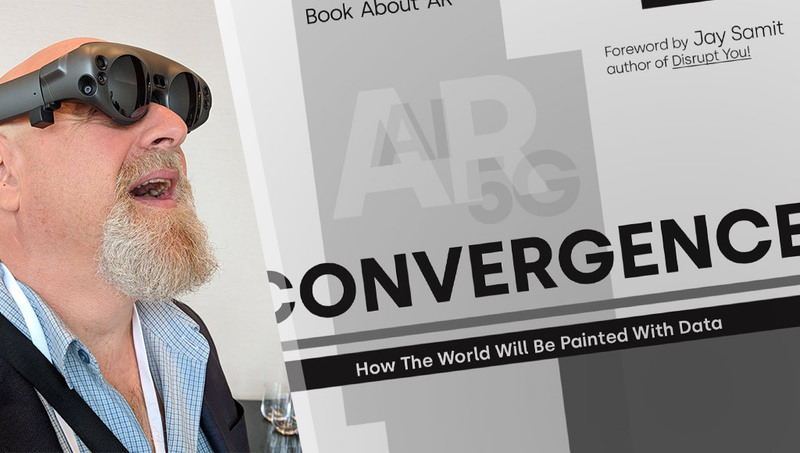 There is every chance that advancements in VR tech will also help fuel AR too. Let’s work towards letting the whole emerging tech industry thrive and see where it takes us. On a similar note, not everyone wants to use VR. Some people just aren’t comfortable having their view completely obstructed. Some people feel uncomfortable in a headset like that. While that’s a sign that VR won’t become the sole and only way to use technology, it doesn’t mean it’s going to die as a technology. It just means it won’t be for everyone. That’s totally okay. We can have HoloLens/Meta/Magic Leap style AR for some who want to see the world around them at all times. A hybrid headset like the Mix AR headset that can switch between the two could be the way. I’m excited for the days when concepts like Leap Motion’s Mirrorworlds become a reality and we have VR and AR both working side by side in incredible ways! We can even have technology like Bose’s audio-based AR for those who don’t want a display constantly in their face. We can even still have smartphones, tablets and desktop computers — people will naturally use what they’re most comfortable with. Some people are going to want to be totally immersed in an experience. We’re going to have some amazing applications for that style of content consumption. It isn’t going to disappear. Kain from StartVR also mentions that headsets like the Oculus Go have already been quite successful as a way of delivering VR experiences for corporate clients. I’ve heard from a few sources that the Oculus Go, as a self-contained, all-in-one, mobile device, is proving to be very effective for delivering VR applications to corporates and those looking to distribute the content into controlled environments. Sonya Corcoran from the University of Sydney says they just deployed the Oculus Go for the first time in the classroom recently too. It’s definitely looking like the best option at the moment for larger scale VR uses where you’re buying a bunch of be used at once. That’s a lot of headsets purchased in one go! While it is likely to have been placed by the Chinese government or some other big corporate entity, the fact that they see the potential in this tech and want to use it in such big quantities is hopefully a great sign. The HTC Vive Focus would be perfect for VR arcades, educational institutions and big corporate installations. It is exciting as it has inside-out, six-degrees-of-freedom tracking, which allows people to freely move around while wearing the headset. Overall, lower priced, standalone headsets are currently doing pretty well in China — which is great to see! There are very cool possibilities with education and VR — being able to completely immerse a student in an environment primed for teaching about a certain topic (especially things like history and science!) is going to be incredibly valuable. It’s even hitting the Emmy Awards! At this year’s 2018 Emmy Awards on September 17th, VR will have its biggest presence yet! “This year marks a record seven nominations for virtual reality content spread across two categories.” (VRScout, 2018) That’s a pretty good trend as companies like Disney, NASA, Marvel and more continue to experiment with virtual reality storytelling. Modular set ups — the HTC Vive is a great example of this! There are accessories like the TPCast wireless adapter which turns the Vive into a wireless headset, Vive Trackers to allow tracking of almost any object you attach it to, the Vive Deluxe Audio Strap providing an all-in-one head strap and audio solution, prescription lens inserts for those who wear glasses and more. These sorts of set ups are going to really help build up VR headsets’ functionality without requiring people to purchase entirely new headsets to keep up. In conclusion, VR isn’t dying! It may take a little longer for it to hit the big mainstream audience, but headsets like the Oculus Go and PlayStation VR are helping build up this number. There’s so much potential still in this industry, it isn’t the doom and gloom that some are trying to make it out to be. Have you got stories of success with VR? Any predictions for where you see it all going? Leave your thoughts in the comments below!